No need to be a fair maiden to capture a unicorn to obtain its horn! 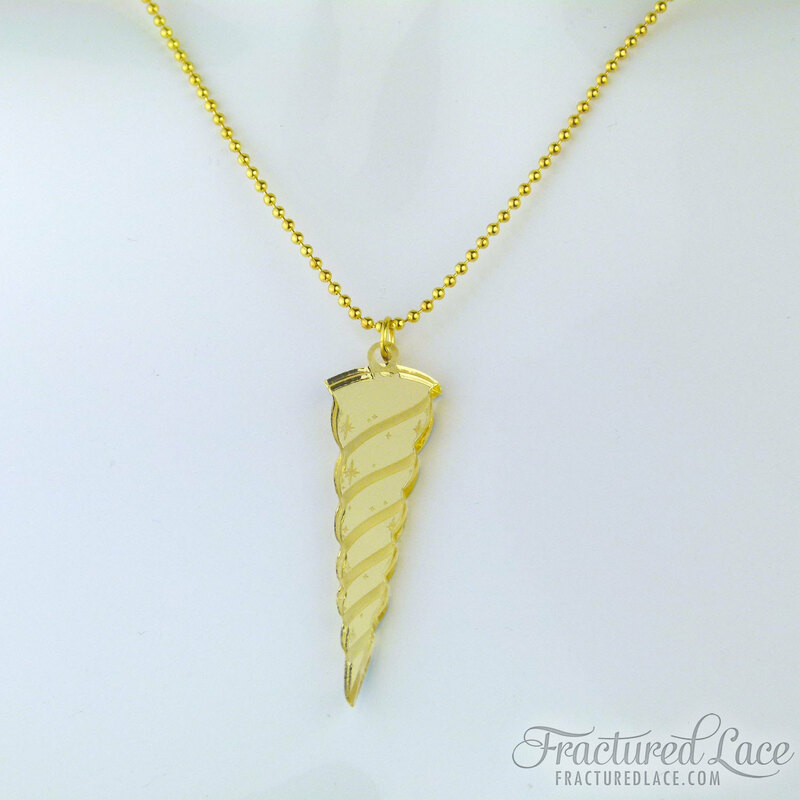 This cruelty-free unicorn horn necklace has been crafted in mirror-finished gold acrylic. Your sweet little unicorn horn has been strung on a 42cm gold-plated chain – with an extension chain, in case you’d like it to hang a little longer. 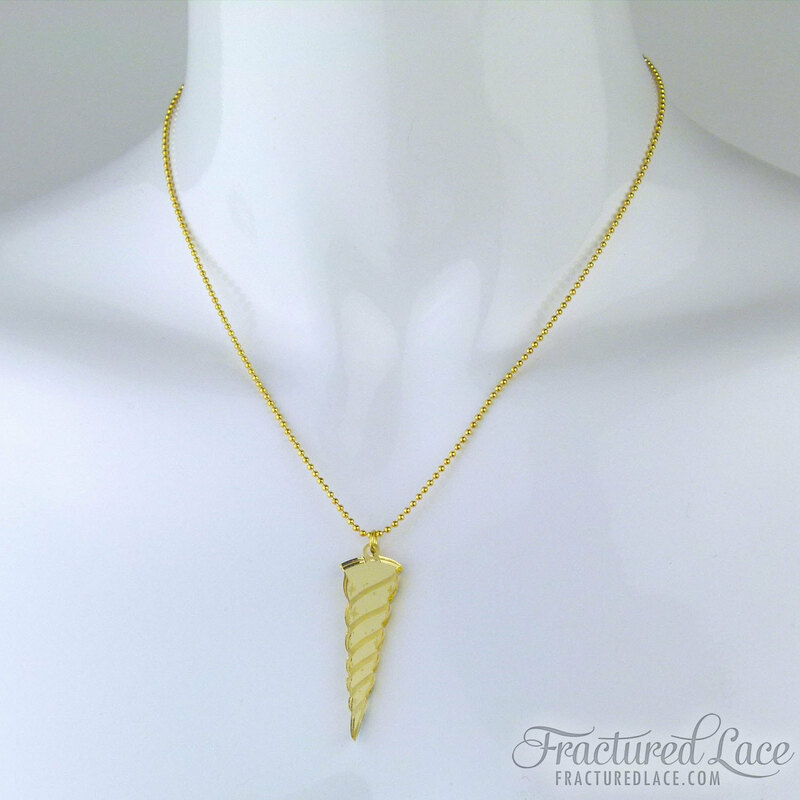 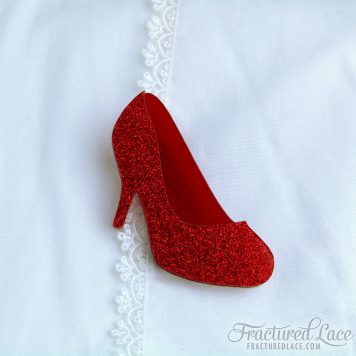 This necklace is an original design by Fractured Lace. 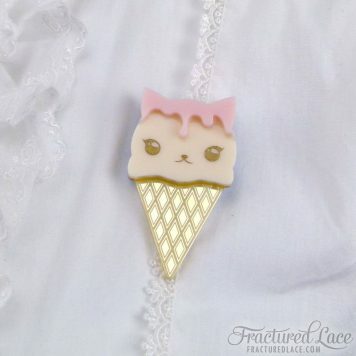 Please note: Please do not wear this necklace in the shower or where it will come into contact with excessive moisture. 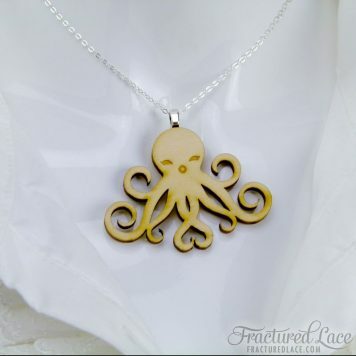 The chain may tarnish or darken with age and long-term wear.